Oliver Osoyoos Wine Association’s Festival of Trees has come and gone but its legacy continues, with the event raising $5,513.20 for the BC Children’s Hospital and an additional $1,783 for the South Okanagan Children’s Charity. 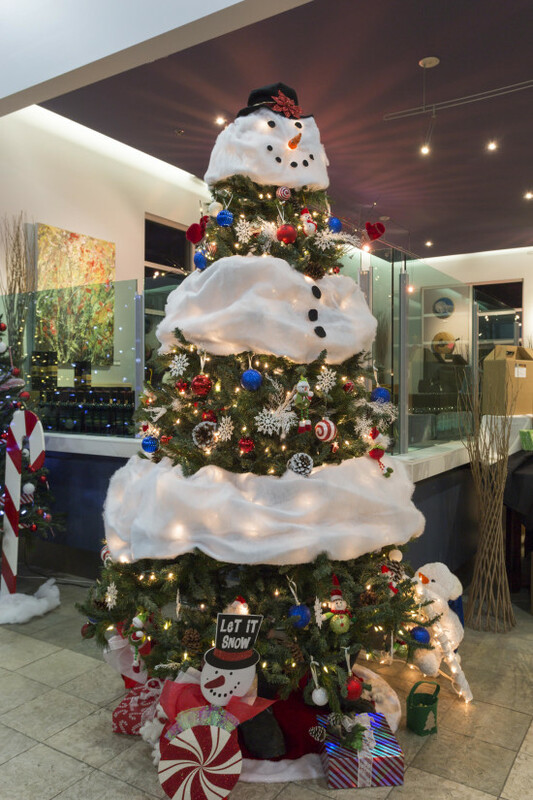 Twenty-four trees were decorated by local businesses and displayed in three locations within the Oliver and Osoyoos communities; Nk’Mip Cellars, Watermark Beach Resort and Frank Venables Theatre Lobby. With a suggested minimum donation of $2 per person, visitors were encouraged to vote for their favourite tree. Winners of the public vote were: Oliver Community Arts Council in first place; River Stone Estate Winery in second; and Levia Wellness Spa in third. A silent auction also took place to benefit the South Okanagan Children’s Charity’s Sunshine Fund, which helps local families with sick children experiencing financial hardship due to medical expenses. All Festival of Trees donations go directly towards the BC Children’s Hospital’s The Excellence in Child Health Fund, which supports research, required equipment, and vital programs at BC Children’s Hospital, as well as Sunny Hill Health Centre for Children and the BC Children’s Hospital Research Institute. Started in Vancouver 30 years ago to raise funds for the BC Children’s Hospital, the Festival has since grown to include many other towns and cities across the province. To learn more about Oliver Osoyoos Wine Country and their year round events program, visit www.oliverosoyoos.com.